"In the Tale of The Fall of Gondolin are two of the greatest powers in the world. There is Morgoth of the uttermost evil, unseen in this story but ruling over a vast military power from his fortress of Angband. Deeply opposed to Morgoth is Ulmo, second in might only to Manwë, chief of the Valar: he is called the Lord of Waters, of all seas, lakes, and rivers under the sky. But he works in secret in Middle-earth to support the Noldor, the kindred of the Elves among whom were numbered Húrin and Túrin Turambar. Central to this enmity of the gods is the city of Gondolin, beautiful but undiscoverable. It was built and peopled by Noldorin Elves who, when they dwelt in Valinor, the land of the gods, rebelled against their rule and fled to Middle-earth. Turgon King of Gondolin is hated and feared above all his enemies by Morgoth, who seeks in vain to discover the marvellously hidden city, while the gods in Valinor in heated debate largely refuse to intervene in support of Ulmo’s desires and designs. Into this world comes Tuor, cousin of Túrin, the instrument of Ulmo’s designs. Guided unseen by him Tuor sets out from the land of his birth on the fearful journey to Gondolin, and in one of the most arresting moments in the history of Middle-earth the sea-god himself appears to him, rising out of the ocean in the midst of a storm. In Gondolin he becomes great; he is wedded to Idril, Turgon’s daughter, and their son is Eärendel, whose birth and profound importance in days to come is foreseen by Ulmo. At last comes the terrible ending. Morgoth learns through an act of supreme treachery all that he needs to mount a devastating attack on the city, with Balrogs and dragons and numberless Orcs. After a minutely observed account of the fall of Gondolin, the tale ends with the escape of Túrin and Idril, with the child Eärendel, looking back from a cleft in the mountains as they flee southward, at the blazing wreckage of their city. They were journeying into a new story, the Tale of Eärendel, which Tolkien never wrote, but which is sketched out in this book from other sources." 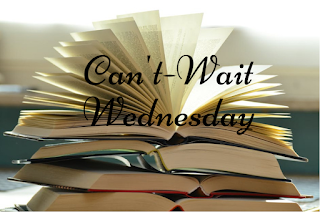 For some reason I thought that I had already featured The Fall of Gondolin in a Can't-Wait Wednesday post, but apparently I haven't--so here it is! I'm really looking forward to checking this one out and also seeing Alan Lee's gorgeous illustrations. "King Midas once had the ability to turn all he touched into gold. But after his gift—or curse—almost killed his daughter, Midas relinquished The Touch forever. Ten years later, Princess Kora still bears the consequences of her father’s wish: her skin shines golden, rumors follow her everywhere she goes, and she harbors secret powers that are getting harder to hide. Midas learned his lesson at a price. What will Kora’s journey cost?" I haven't read many things related to King Midas, so I thought that this sounded particularly exciting for that element. This sounds like it will be a pretty fun adventure, so I look forward to its release! i am so excited for a touch of gold. so so very excited. I think I'm going to NEED The Fall of Gondolin in my life lol- and yes the Alan Lee art will no doubt be the icing on the cake. I just love that cover! I'm not a big Tolkien fan, so out of these two I'd be interested in reading A Touch of Gold. It sounds so good!